Thread: Any NY residents voting YES for casinos today? And if so, what's wrong with you? I'm voting Yes, but I don't gamble. And there's a lot wrong with me or else I wouldn't be posting here. LOl...admitting you have a problem is the first step. Why not? At worst, it means some of the money currently going to non-taxable Indian casinos goes to taxable casinos instead. What's the downside? Do you want this casino in your neighborhood? No. But then, my neighborhood is a residential suburb, where a casino wouldn't fit. Would I mind it as an expanded racino? Hell no. I'd much rather go to an actual casino at aqueduct, for example, than drive to Connecticut for Mohegan Sun. I believe its a distraction on Cuomo's inability/refusal to make a decision on fracking. Plus, it isn't producing anything, just sucking money out of people who probably can't afford to have money sucked out of them. But why not have that money sucked out and put into our schools as opposed to those schools in CT and NJ? from locals? Answer is self-evident. Do you really think high rollers are sitting on their yachts thinking "I gotta go party in Rochester at the new casino!"? No. These people are high rolling at Foxwoods, bro. Look at all the rolling!! Thanks for giving me the answer. I really don't care who is going to the casino. I do, however, care about the $94 million that will be infused into the NYC public school system. Its not like casinos don't exist - they're everywhere. 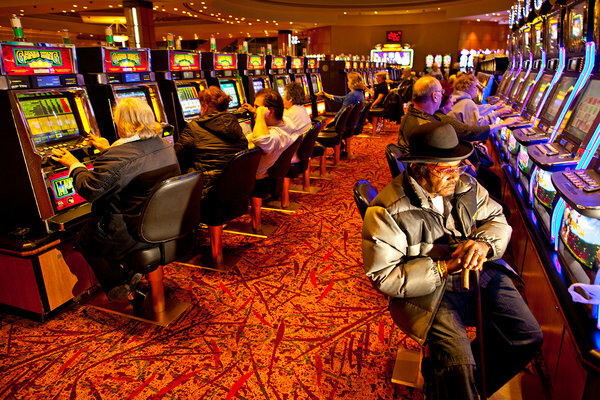 If people stop going to Turningstone and instead go to one of these casinos, fine by me. What do I care? And what's wrong with you....why do you care? No. But high rollers aren't the ones going to Turningstone or the Poconos or AC (for the most part). That's a ton of money flowing out of NY and to our neighbors (or our Sovereign Tribes). I voted yes. We are going to need the extra money now that a communist was elected as Mayor of NYC. Seriously though I don't see much of a downside considering we are surrounded by Casinos in CT and NJ. PS if the question was choose between Casinos and Fracking for Natural Gas as a new revenue source I would have chosen fracking. Drill baby drill! I don't see how one has anything to do with the other though. The groundwater is bad enough up here already. How much money do schools need? We as a country spend the most of any industrialized country and rank at the bottom! So how much is enough? What does that have to do with the price of wheat? Are you suggesting that New York schools wouldn't benefit from additional funding that is otherwise being lost when NY residents visit other casinos?